At next week's Detroit Auto Show, VW will take the wraps off a concept car that previews a new and more fuel-efficient version of its mainstream Passat mid-size sedan. The Volkswagen Passat BlueMotion Concept features a direct-injected and turbocharged 150-horsepower, 1.4-liter four-cylinder engine producing 184 lb-ft of torque. It powers the front wheels through a DSG dual-clutch automatic transmission. The concept car is said to return gas mileage of up to 42 mpg on the highway cycle, though Volkswagen didn't specify all three components of an EPA rating. DON'T MISS: Norway's Electric Cars: Already Too Popular? The engine and transmission are the same ones used in the Jetta Hybrid compact sedan, and they will become a mainstay in many VW models over the coming years. Other features that boost fuel economy in the small engine are cylinder deactivation under light loads, already fitted to European versions of that engine used in the new Golf and other models. The Active Cylinder Management system deactivates valves on the two middle cylinders under light loads at low speeds, and VW says it's a first for an inline four-cylinder engine. Volkswagen has also included a start-stop feature that switches off the engine when the Passat Concept is at rest. And a coasting function decouples the transmission from the engine when the driver lifts a foot off the accelerator, allowing the car to roll further on momentum due to reduced mechanical drag. 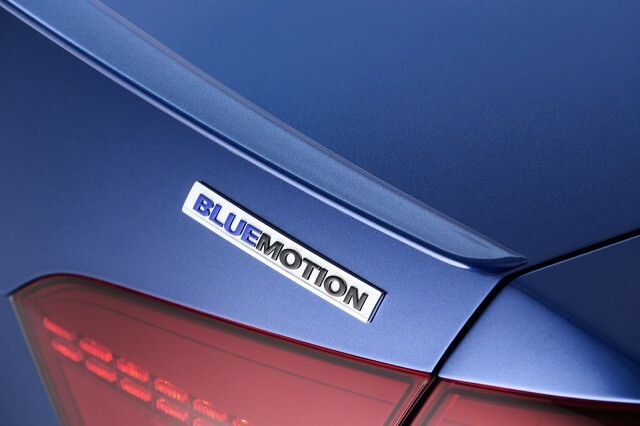 The concept car, coated in a Reef Blue metal paint that will be added to the Passat lineup, features blue highlights on the two-tone leather seats. 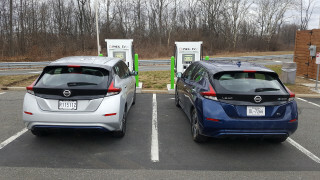 The BlueMotion efficiency sub-brand has been used in Europe for more than five years, but this is its first significant appearance in the U.S. market. 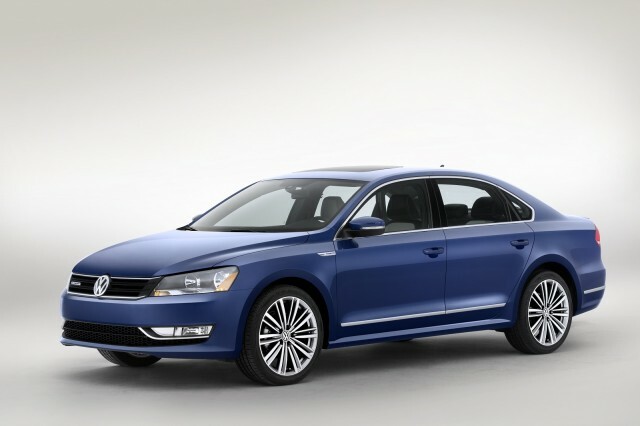 The 2014 Passat is offered today in the U.S. with four engines, three gasoline models and a diesel. The best fuel efficiency is provided by the Passat TDI with the 140-hp 2.0-liter turbodiesel engine and six-speed manual gearbox, rated at 35 mpg combined (31 mpg city, 43 mpg highway). READ: Should GM Buy Tesla? What Would Be The Pros And Cons? 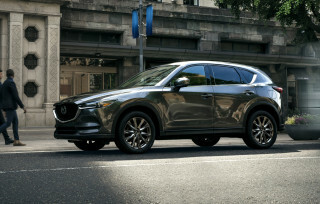 The gasoline version with the best mileage uses a turbocharged 1.8-liter four-cylinder engine, either with a five-speed manual gearbox or a six-speed automatic, that's rated at 28 mpg combined. The concept car is likely a lightly-disguised version of a new Passat production version that will be launched sometime later this year, perhaps as a 2015 model. For all the latest news from next week's auto show, see our Detroit Auto Show index page.